FAQ's: Got Questions about getting a massage? One randomized study on nurses showed that a 15 minute, weekly massage significantly reduced anxiety and depression. Why is this important? If you enjoy your job you are happier at work and home; your productivity soars (you become a manager’s dream come true!) and your self-confidence increases as well. I can help you with this—I can come to you, or make sure that we get you in and out quickly and efficiently while still giving you all the benefits and outcomes you deserve. And if you are in an office environment, ask about our Chair Massage! It’s a great way to help your team manage stress and improve their health. What are some of the benefits of massage? depression and pain. (In several studies, it has been shown to be more effective and longer lasting for pain relief than drugs) It also reduces heart rate, lowers blood pressure, increases blood circulation and lymph flow, relaxes muscles, improves range of motion and increases endorphins. How does HOH Bodywork compare with other massage studios? Not all massage therapists are the same. Click here to see why HOH Bodywork stands above the rest! First appointment: What should I Bring? For massage patients dress as you feel comfortable. For shiatsu you should come wearing warm comfortable clothing that is relatively thin and soft. For exercise/stretch consultations please wear athletic and comfortable clothing. If you are planning on billing your insurance due to coverage or automotive/personal injury claim, you should remember to get and bring a prescription from your doctor or chiropractor for massage and bring along any x-rays, mri’s or other test results. Tipping is not required, but it is appreciated. Some places build an expected tip into the salary of therapists. The standard rate is 15%. No. You get undressed to your comfort level. Keep in mind, I am a professional and use appropriate draping techniques with sheets and blankets. Also, depending on the service or treatment, oil or massage cream is often used and can sometimes get on clothes, and skin contact is necessary for some techniques such as essential oil treatments. Does your Health Insurance Cover Payment of costs? A growing number of health plans cover massage. Some jobs also offer cafeteria plans that allow you to take out pre-tax income to use for such things as massage or acupuncture. Please contact your insurance company to find out more. What should I feel after a massage? 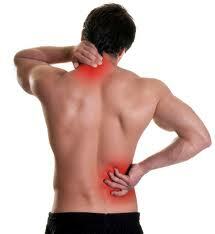 You should feel relaxed and have decreased pain and muscle tension. Getting a massage can increase endorphins, release cellular waste from tissues, and increase localized circulation. Make sure you hydrate with fluids to allow your body optimal function of flushing out wastes or you could feel some flu-like symptoms the day after. Depending on the type of massage, some deeper tissue work can cause you to be a little sore to the touch for a couple of days, and even slight bruising is normal. How often do I need to get a massage to feel the benefits? You can have benefits after just one massage. A good maintenance plan would be to get a massage every 4-6 weeks. When using a massage for treatment of an injury, you may need to have a massage weekly til the symptoms change or subside. Consider our BodyWorks Membership Program for an affordable way to achieve the best you can be!